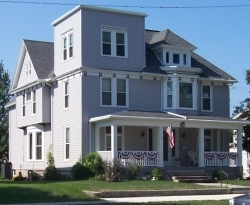 Rager Home Improvement takes great pride in providing quality service and products for over 55 years! But don't just take our word for it - here's what our customers have to say! John Rager and his experienced crew do excellent work. John has excellent judgment and taste when it comes to home improvement suggestions. 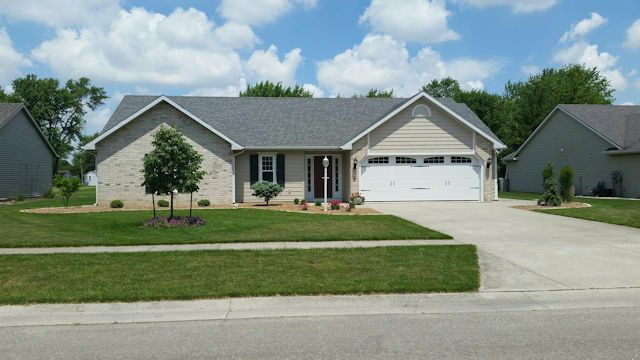 I am completely satisfied with the new TimberTech composite porch floor, Polaris vinyl replacement windows, Masonite entry doors, Wayne Dalton overhead garage door, Fypon decorative accents, and Mastic Victorian Gray vinyl siding for my house and garage. Click on Thumbnail to Enlarge We started with a drawing of what we wanted the porch to look like, and John Rager worked with us on every detail to make it happen. The excellent craftsmanship is evident throughout the entire project. We have received many compliments that should really be sent to John and his crew. Click on Thumbnail to Enlarge Love the new look of our house and new pavilion! Everyone loves the pavilion and so do we. It exceeded our expectations. We are very happy we had John Rager and his crew build our new deck using Genovations materials. We are thrilled with the quality and the overall appearance, and we appreciated all the great suggestions from John. In addition to this, John's crew installed new Pella window sashes, and did a great job with this as well. John also does a great job of communication by email and responding promptly as well - so much better than playing telephone tag! We highly recommend Rager Home Improvement, Inc. for your home improvement projects! 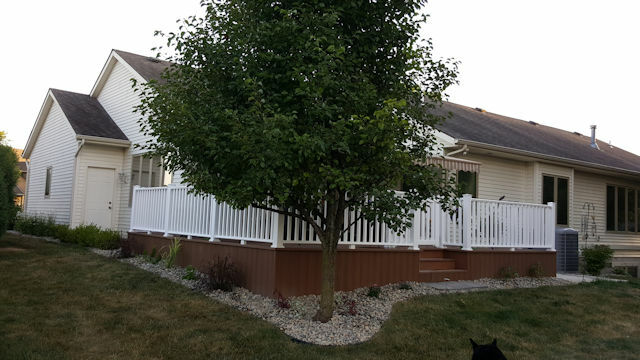 We are extremely pleased with our Trex composite deck and would highly recommend it. John Rager, Rich Davis and Andrew Rager of Rager Home Improvement did a wonderful job installing our Trex deck. 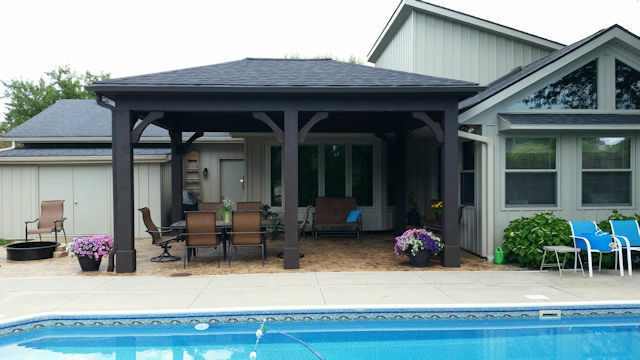 They provided good suggestions on the design and helped us put together a great looking deck. No more costly and time consuming staining or waterproofing. No more splinters. We wish we would have known about Trex before building our original wood deck. 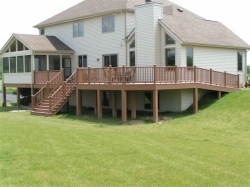 We would have saved ourselves a lot of money and had a great looking deck from the beginning. "We are very pleased with our Simonton windows, Masonite entry doors, & Larson storm doors. We have received numerous compliments for the "new look" concerning our home. The house is much quieter and warmer. I would highly recommend Rager Home Improvement, Inc. to anyone. 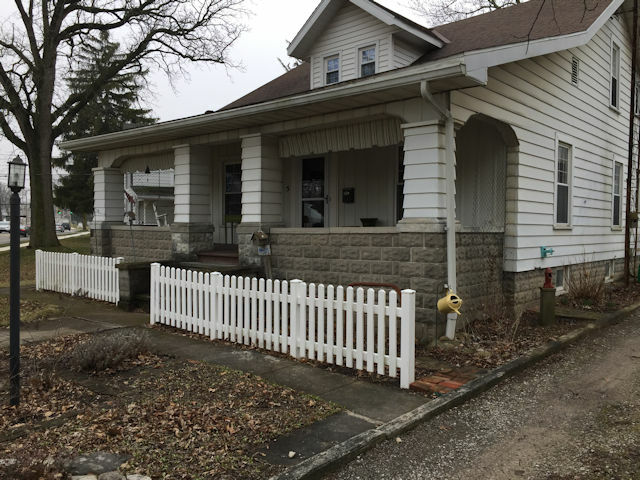 Their caliber of work cannot be equaled in the Van Wert area!" 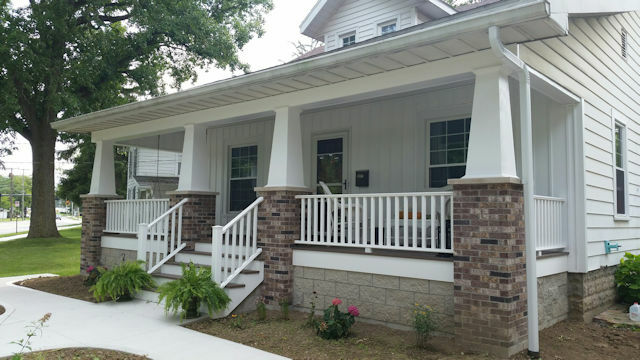 We are also very pleased with the new vinyl overhang, seamless aluminum gutters, and downspouts installed this year.